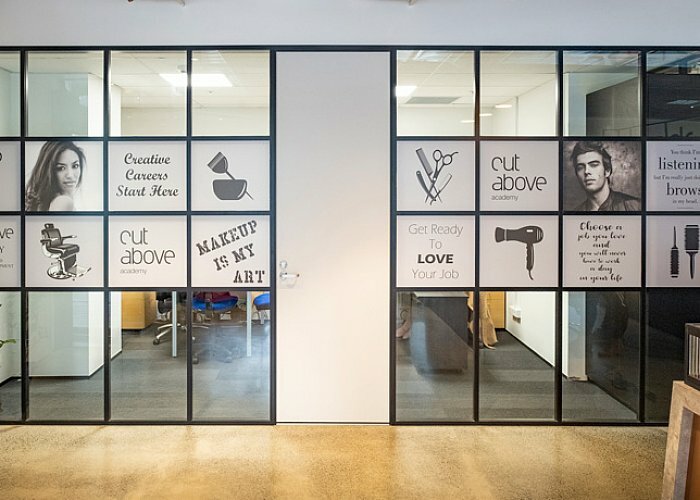 Cut Above Academy has been giving students the edge they need to become hairstylists, barbers and makeup and special effects artists of the future for more than forty years. Creative industries require graduates to be multi skilled. Hair salon owners want employees with extra skills in makeup. Stage and screen producers, and art directors want makeup artists who can style hair. We’ve set up our courses so you’ll focus on your chosen specialty, but also learn basics from our other courses. Or you can choose to study one of our Collections and learn a full skill set in more than one area. Our Cut Above students are all-rounders, giving them an advantage when they graduate. They’re ready to step up and perform at the top of their game. Why choose a career in image making? The qualifications we offer are first-class credentials in contemporary image making. We offer a unique range of full-time courses in hairdressing and makeup artistry for fashion, film, and special effects (SFX) production. In today’s creative workplaces you need to be multi-skilled. Our wide-ranging syllabus allows you to add a range of skills to your CV across a variety of creative disciplines. As the driving force in image making training we produce more skilled graduates for these industries than any other school in New Zealand. Our reputation attracts the highest calibre of teachers and our facilities are unparalleled. Each faculty is designed to meet specific industry needs. The lecture rooms, salons, makeup studios and SFX workshops are air conditioned and feature the latest in cutting-edge technology. A full-time student welfare officer is available to assist with personal issues and graduate job placement. All Cut Above programmes are designed to industry standards and are accredited by NZQA. You will learn in creative environments from inspiring teachers who are leaders in their field. As a Cut Above student you will take part in some of the most exciting fashion and arts events in New Zealand and gain workplace insight and contacts. The future continues to look promising for our trainees. Our hairdressing graduates are out there building great careers, winning awards, featuring in high profile magazines and continue to be highly sought after by salon owners. Our makeup and SFX graduates contribute significantly to the growing numbers of successful artists working in the fashion and media fields. Cut Above Academy is one of the trading names for the registered PTE New Zealand School of Tourism. Your enrolment is with New Zealand School of Tourism Ltd and your qualification is issued by the New Zealand School of Tourism.